The list below is representative of Vendors who attend the Midwest Reptile Show. Attending vendors are subject to change. Specializing in ball pythons and most other snakes. Variety of lizards, amphibians and inverts. Now also carrying all your pet supply needs. Proudly selling ZooMed. Live rodents available by preorder. Affordable GTP's specializes in just that. Captive born green tree pythons bred and raised at our facility for a very reasonable cost. Beautiful, healthy babies feeding on f/t fuzzies now available. We breed a wide variety of unique rodents, including fancy rats, fancy mice, and exotic mice (Pygmies and Egyptian Spiny mice). We also have English Angora and Astrex rabbits. Your source for top-quality feeder animals!. Frozen mice, rats, soft-furs & chics. Lots of MALE Bearded Dragons adult breeding age and also a few Females. Also dragons about 6 months and others that are about 4 weeks. We offer water-based air purifying/humidifying systems that clean and aromatize the air in your home. Safe around reptiles and other small animals. Professional Caging for Professional Breeders. Rodent Systems & Reptile Systems. We specialize in selectively bred ball pythons, blood pythons, Mexican black kingsnakes, and Pueblan milksnakes. Specializing in quality Bearded Dragons and Veiled Chameleons since 1991. True Redtail, Amarali and Morph Boas. Quality CB geckos, reticulated pythons, blood pythons and much more! Locally owned and operated private breeder of selectively bred and genetically sound, investment quality Ball Pythons. Health & genetic guarantee. Recessive, Dominant, and Co-Dom genetics available! Providing healthy *well started dragons since 1997, including Rankins. Bonnie has also dabbled in several other species including, crested, leopard & fat tail geckos, corn snakes and ball pythons. High quality ball python morphs with emphasis on clown and bamboo combos. CC’s Exotic Pets is a local USDA breeder of Hedgehogs and offer supplies needed for proper care and health of your newest pet. High quality crested geckos. We also carry all of your terarrium supplies: cork bark, moss vine, bamboo stalks, gecko ladders, Royal Pillow Moss and moss terarrium liners. Polymer clay sculptures and canvas paintings of reptiles, birds, and amphibians. I do take special requests for works. Kenyan Sand Boas, Rainbow Boas, Ball Pythons, Blood Pythons, Blue Tongue Skinks. We offer a selection of snake , lizards, feeders and plants. 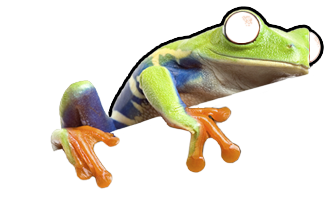 We specialize in frogs, snakes and geckos and be bringing a variety of animals to the show. Please contact us if there is anything specific you are looking for. Natural slate hides, caves, and ledges. All items are handmade and custom orders are welcomed. Captive bred Ball Pythons, boas, and corn snakes. We sell a variety of common species as well as a few surprises. Hornworms,Fruit Flies, dubia roaches, hissing roaches, and giant cave roaches are available for most shows. We make sure to bring a minimum of 2 educational animals each show for the kids to meet and interact with. Ball Pythons, geckos, frogs, scorpions, tarantulas and more. We specialize in HIGH QUALITY, high color morphs such as red, orange, yellow, hypo, translucent, leatherback, dunner, witblits, zero, wero and paradox! We also carry a wide variety of feeders insects. We strive to breed only the highest quality bearded dragons!! Live feeder Crickets, Mealworms, Superworms,Waxworms, Silkworms, Hornworms, Butterworms, Mealworm Bedding, Rep-Cal Calcium & Vitamins. Preorder before the show & have your order waiting on you. We have a wide variety of reptiles including cb. And cbb. A few ch and wc. If its legal we can get it. We will also be offering supplies for sale. Mostly brand new, but all is for sale. Goss Reptiles, owned and operated by Phil Goss, only sells quality, captive-bred Boa constrictors and Blue-tongued skinks produced at our facility. Go to www.GossReptiles.com for care sheets and education on these and many other species. Family owned reptile business, specializing in large snakes, large lizards and tortoises. We buy, sell, trade, breed and rescue reptiles of all types. We deal with a large network of private breeders and wholesalers. We also provide education and consultation for care of exotics. HANDCRAFTED HERPS will be at the september show with our new patent pending enclosures. Be sure to stop and check them out. Herp Houses by Reptile Environments A new line of Real Wood Reptile Cages. They look and hold heat better than glass. They include, a nice custom look, part of the bottom is glass for a UTH heat. As our name implies, our goal is to keep, breed, and most importantly, enjoy reptiles of the highest quality. We are extremely selective when building our collection so that you can be sure you're purchasing the very best of the best. Hill's Herps specializes in various sand boa species, morphs,and locales. Our inventory includes Kenyan,Egyptian,Indian,and Javelin sand boas. Small Class A USDA licensed hedgehog breeder. Our main focus is providing families with friendly pets. Quality Feeder Rodents. Live & Frozen mice and rats. Lab chow, aspen bedding. Custom, personalized vinyl decals for your car or any hard surface. We have created a selection of designs based on your favorite cold blooded companions and will be cutting custom stickers ON SITE. Offering a wide variety of Carnivorous (Insectivorous) plants for sale, we are a hobby-based business with the sole intention of having fun and sharing our passion and excitement for this amazing family of plants! Boas, Pythons, Colubrids, and Monitors. An variety of baby bearded dragons. Will have wholesale rodents, both live and frozen. Professionally made 4 place display. Will also be bringing many tanks with screen tops and accessories. We specialize in captive bred dart frogs, bearded dragons and leopard geckos. We carry a wide variety of ethically sourced insects, butterflies, bats and bugs in an artistic setting. We will have frames, wall decor, jewelry, crystals and Christmas ornaments! Carnivorous plants, airplants, tropical plants. Providing you with the Highest quality and healthiest leopard geckos and various other species. Nows selling Magic Meal Premium Insect chow. Madagascar Hissing Cockroaches, Princidia Hissers, and Long Horn Hissers, as well as hisser food. Offering sulcata tortoises and veiled chameleons. Followed with customer assistance throughout the life of your new pet. Books on Reptiles, amphibians, arachnids, and other life forms. Also framed prints. Specializing in quality captive bred Reticulated python morphs. Millermeade Farms specializes in producing quality sugar gliders and hedgehogs as well as customer education both before and after a sale. Ball pythons, Redtail boas, Crested geckos, and assorted reptile accessories! Variety of reptiles, amphibians, and invertebrates. Often have uncommon species. Specializing is Piebald Combo and select Designer Ball Pythons, Genetic Striped Hypo, Albino, and Hybino Blood Pythons, Green Tree Pythons, Carpondros(GTP X Carpet). Payment plans and nationwide shipping are available. We are small, family run business that focuses on recessive morph ball pythons.We have wide variety of ball python morphs in our collection and strive to produce beautiful, healthy snakes. Other projects include carpet pythons and Mexican Black King snakes! Follow us on Facebook! Balls, corns, dragons, geckos, and more! We sell High end Crested Geckos. Quality Captive Bred Reptiles specializing in Boa constrictor Morphs. We specialize in high quality, high color leopard geckos of various morphs. We are located in Columbus Indiana. Herp Houses by Reptile Environments. A new line of Real Wood Reptile Cages. They look and hold heat better than glass. They include, a nice custom look, part of the bottom is glass for a UTH heat. 6 qt, 30 qt and 40 qt PVC racks, 3', 4' and 6' PVC cages, ball python morphs, radiant heat panels, heat tape, hide boxes, thermostats, snake hooks, hemostats, tongs, tweezers, probe sets, thermometers, F-10, , coconut chip bedding, rodent breeding cages, etc. Quality Captive Bred Reptiles, Bearded Dragons, Leopard Geckos, Snakes and Cages and Supplies. Family run Ball Python and Crested Gecko breeder. Dad handles the snakes and the daughters raise and breed the Geckos. It's a family affair. Breeder of crested and gargoyle geckos located in East Central Indiana. 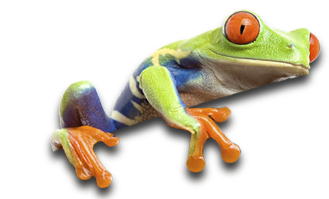 Scales and Tails of Ohio has a wide variety of reptiles and amphibians to choose from. You name it, we probably have it and if we don't, we can get it. We look forward to our first show in Indy! CB Monitors, Blue Igunanas, various Pythons, Mexican Black Snakes, Scarlet Snakes, Water dragons and more. Please email for current list show pricing. Carrying closeout dry goods, new and used tanks and tarantulas. Rainwater Albino Leopard Gecko Morphs. Mack Snow RWA, Patternless RWA, Super Typhoon, Typhoon, Cyclone, Super Cyclone, etc... Ball Pythons. We have been Building ABS Reptile Enclosures since 2005. We have many sizes and accessories to choose from. Don't buy from a sup par imitator. buy from the Originator. Check us out on Facebook! Anthropomorphic taxidermy including rats and mice made from frozen feeders. We also have an assortment of handmade jewelry now new to 2016! Hand-carved wooden musical croaking frogs in a variety of designs and sizes; top quality brilliant tee-shirts with reptile, amphibian and animal images; unique reptile jewelry. Specializing in Investment Quality Ball Python Morphs. We also have many types of cornsnake morphs. In addition, we carry Aspen bedding(chips or shredded) as well as Proventa Mite and F 10 cleaner. We breed locality specific Rosy Boas, African Fat Tail Geckos, and Leopard Geckos. Also, we carry a large selection of cork bark and a variety of terrarium substrate. We breed & raise what we sell from egg to adult. Selectively bred Veiled Chameleons, Panther Chameleons of all ages. Axolotls of all colors and ages, larval through adult. Dubia feeder roach starter colonies and other food sources available. Feeder rodents, hamsters, gerbils, spiny mice, king snakes and more. Specializing in Ball Python Morphs with plans of adding new species of snakes in the near future. BPs: Champagne, albino, fire, yellow belly, pastel, cinnamon, G-stripe, spider, mojave. I make handmade screen terrariums. Visit my Etsy page (www.etsy.com) for more information. Search for "The02Shop" Order now and I can have it ready for you to be picked up at the show! Different morphs of axolotls !! Horned Frogs or Pacman frogs as they are better known. We have many morphs and species. We also sell products from Exo Terra and Lugarti soils & substrates for bio-active terrariums suited for these great pets. Crested geckos and gargoyle geckos. Food dishes, Pangea Gecko diet, bioactive set ups, dubia roaches, cleaner insects, leaves, cork bark, various arboreal decorations and hides. Minerals, Fossils, Animal Displays, Jewelry, Natural History related items. Ball Pythons, Blood Pythons, Rainbow boas and other snakes and reptiles. Rack systems, cages and thermostats. General supplies for reptiles. Breeders of Dumerils Boas, Sand Boas, Milk Snakes, GTP's, Leos, and Madagascar Ground Geckos. We also offer a variety of specialty reptile diets, and husbandry tools. We will have a variety of captive born & bred ball pythons, crested geckos, and a few colubrids. Quality ball pythons and tortoises. Clean your tanks, terrariums, and enclosures without chemicals. Just water and a cloth. We sell a variety of products for sugar gliders and other little fuzzies such as cage sets, carriers, travel cages, toys, bonding pouches, purses, and animal themed jewelry. We have many adult and young juvinile Bearded Dragons available, including leatherbacks. High quality eyelash crested geckos. From the common harlequin to the sought after quad pinstripe. Along with other pinstripes. Rare and unusual species enthusiasts- colubrids, carpet pythons, New Caledonian Geckos, arachnids, and few other miscellaneous species.